Walden has been the school teenagers want to go to since 1660. Influence and the guarantee of success after the two-year programme hasn’t thwarted applications from pouring in, even some fifty years after corporal punishment has virtually disappeared from education. Not at Walden. 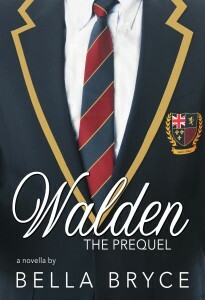 With great privilege comes great responsibility and the prefects of Walden School are not elected based on popularity, but on their character, integrity and with the knowledge that they will carry out most of the discipline required of their peers. During the summer holiday, eight senior pupils return to learn what it means to lead the school – just as it has been led since 1660. In this prequel to the series, you will meet the people with influence; some who are not so keen on the school and others who are not so amused at not having been made prefect. Welcome to Walden. Posted on Monday, February 29th, 2016 at 2:11 pm in School & College Stories | RSS feed Comments and pings are currently closed.